I am ashamed. So utterly ashamed. 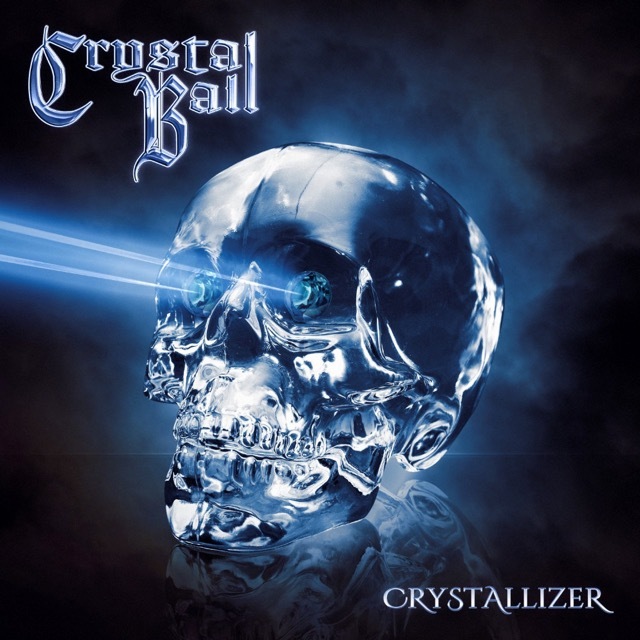 Swiss heavy metallers Crystal Ball have been an incredibly consistent act over the twenty years of their existence, but it has taken me until now to catch even a glimpse. This is their tenth album for God’s sake! The Metal Archives has them labelled as ‘melodic power metal’ – and perhaps at one point they were – but all I’m getting is pure Judas Priest-worship with an extra layer of melodic flair. I pledge to cure myself of my ignorance by delving into their back catalogue soon, but for now it is their 2018 effort, Crystallizer, on the chopping block today. Luckily, I won’t have to release my verbal guillotine this time, as this record totally rocks to hell and back! Consistency is once again the name of the game for the Swiss metal machine, and this LP has it in droves. Fourteen tracks might seem like overkill for this particular style, and in a way that is this album’s one flaw, but each and every number here has its place and is great in its own way. Sometimes I feel Crystallizer is too long and could cut a track or two to make a more cohesive package, but at the end of every song I think ‘Nah, that’s gotta stay, it’s too good.’ Perhaps the only misstep is the oddly sad ballad “Exit Wound”; it’s lyrically confusing and a bit of an energy dip in the album’s latter stages. Then again, it’s a good change of pace after some vibrant rockers… Agh! See? I want to criticize this record, but Crystal Ball make it difficult! Even the album art is great. One thing is absolutely certain: Steven Mageney has one hell of a voice! If the flow of songs gets a tad samey for you, then focus in on his charismatic and articulate vocal technique. When he gets layered with choral vocals in most choruses, the effect is even more stellar. The absolutely storming “Beauty In The Beast” showcases him at his best, and might be the best cut on the album, although almost every song deserves a mention. Picking highlights is almost an impossibility, but those which change the straight up melodic heavy metal formula are what earn the most praise. The groovy “Death On Holy Ground” not only has a cracking chorus, but introduces some grinding riff work and detuned guitars. “Alive For Evermore” might be the closest the band come to full-on power metal, but other soaring choruses include “Gentleman’s Agreement”, “Satisfaction Guaranteed” and the ultra-fun “Crazy In The Night”. Damn, those melodies are all so infectious! Speaking of which, just try and get the hookline of “Dusty Deadly” out of your head, I dare you: ‘They’re flying, they’re dying, completely teeerrifying!’ Seriously entertaining stuff. The record is definitely structured correctly, by opening with the energetic title-track, and closing with the epic “Symphony Of Life”; as its main theme dies away, you’ll just want to hit the play button all over again. One sure-fire criticism I can pinpoint is that the drums can be a little unimaginative at times. Unless I’m mistaken, I don’t think we even hear a ride cymbal at all until track 11! It’s refreshing when the vigour picks up on the snare-fronted “Beauty In The Beast”, but otherwise, its best just to let the drums become a background pillar. There are some admirable guitar solos here and there and some mighty fine anthemic moments to distract you anyway. Getting to know this album inside out has been a real motivator to move onto their earlier work, but in the meantime, this disc will be spinning over and over in my abode. Great production, hymnal choruses, cool artwork, memorable vocal lines, bouncy riffs, shimmering keyboard effects…just perhaps a smidge too long? Cynicism aside, Crystal Ball rise and they demand their curtain call! This entry was posted in Bands, Heavy Metal, Power Metal, Reviews and tagged 2018, 8.5/10, crystal ball, Crystallizer, Heavy Metal, judas priest, Massacre Records, melodic heavy metal, power metal, Swiss heavy metal, switzerland.